Dr. Longerot is a mother of a two-year-old son with a second child on the way. 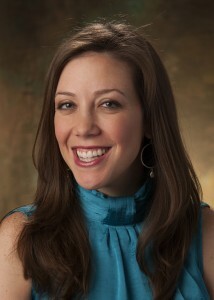 She is an ob/gyn with the Women’s Specialists of Houston at Texas Children’s Pavilion for Women in Houston, TX. What’s your favorite parenting tip? It’s so important to enjoy every phase of your child’s life. Each one comes with its own set of challenges as well as its own rewards. I remember being very sad when my son was growing out of the infant stage. However, I soon discovered that though we were departing the snuggly newborn phase, our baby was beginning to develop his own personality. These times in a child’s life pass so quickly—though some not as quickly as we’d like! If you spend too much time missing the old phase, you might miss some of the great things the current one has to offer. What has surprised you most about parenting? I am constantly surprised by how observant and how intelligent children are. How do you get your kids to eat healthy food? I’ll admit this continues to be a struggle with our son. While he took to most healthy foods easily, getting him to eat vegetables is a constant battle. We try to make healthy foods the only option, and we reintroduce foods many times. I sometimes try to disguise vegetables in some of the dishes we serve. Sometimes it’s a success; other times it’s not. I think the key is to continue to expose your children to healthy foods and to set a good example for them. How do you work exercise into your family’s life? Formal exercise is really out for us these days. Like many families, finding time to go to the gym seems nearly impossible with the demands in our lives. Playing outdoors with our son is a great form of exercise and allows us to spend some quality time as a family. How do you recharge your batteries? Spending time alone with my husband allows us to reconnect and ultimately makes us better parents.